Stephen O’Hara spent 20 years working for the National Health Service (NHS) where he was responsible for delivering microbiology services to a large university teaching hospital. Stephen left the NHS in 2000 to set up an internet auction house, and Acolyte Biomedica Limited (Acolyte), which developed rapid diagnostics for healthcare acquired infections such as MRSA. Acolyte was sold to 3M in 2007 where Stephen became Director of Microbiology. Stephen left 3M in 2009 to become a Director at Taunton and Somerset Foundation Trust. In 2011, he founded Intelligent Biotech Limited as a vehicle to identify technologies and market opportunities in healthcare, which has enabled him to identify the emerging potential of the human microbiome and set up OptiBiotix. During over 30 years in microbiology and healthcare, Stephen has authored over 40 articles, including chapters in several books, and is the inventor on a number of patents. He has at various times been editorial referee for the Journal of Medical Pathology and Journal of Clinical Microbiology. Frederic (Fred) Narbel holds a Doctorate Degree in Business Administration from the Business School Lausanne in Switzerland and has more than 10 years of work experience in the medical devices and food industries. Prior to joining Optibiotix, Fred worked in a number of roles for Agropur including Vice President of Sales – Nutrition Solutions and Director of International Sales. Fred has also lived and worked in Russia and Kazakhstan. Fred has a track record of growing business-to-business sales of specialty food ingredients to provide differentiated nutritional solutions and his network of contacts provides Optibiotix with an extensive access to international markets. 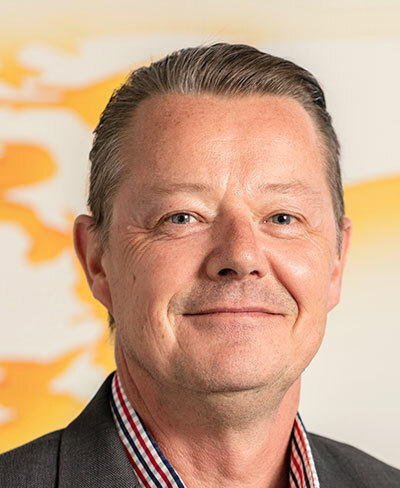 Per is a qualified food technologist and has 20 years of experience in the food ingredients industry, with an extensive experience in building business-to-business sales through commercial partnerships and working with manufacturers and distributors to rapidly grow sales revenues in international markets. Before joining OptiBiotix Per has been having worked for some of the world’s leading food companies including Danisco (Dupont in 2011), and specialised food ingredient suppliers including roles as Managing Director of both Frutarom Nordic A/S (A subsidiary of Frutarom Industries Ltd). 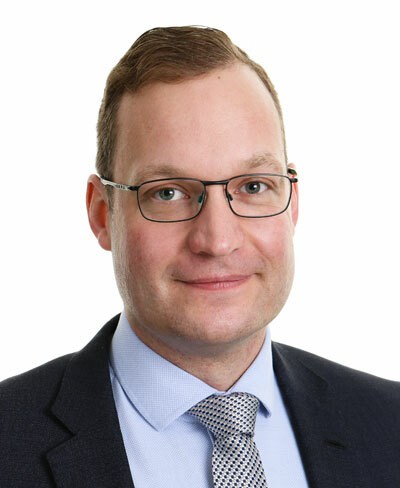 More recently, Per has worked as European Director of Health and Nutrition at Cornelius Group plc which under his leadership became the company’s fastest growing business unit. 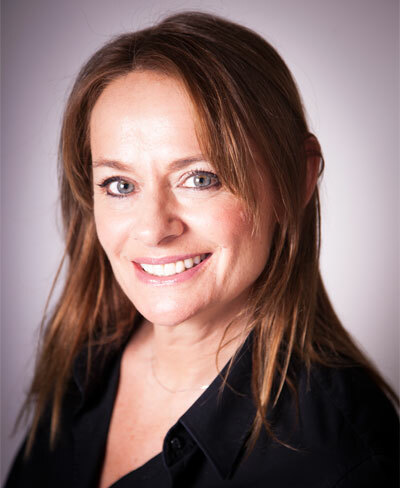 Christina has over 25 years’ sales experience within the Food, Nutrition, and Health & Wellbeing industry. As the owner and CEO of Confoco International, which sourced and supplied high quality food ingredients worldwide, Christina grew the business from £1m to £11m sales by obtaining strategic supplier status with multiple global corporates including Nestlé, Danone, and Heinz. During this time, she developed a network of manufacturers, agents and distributors across key international markets. 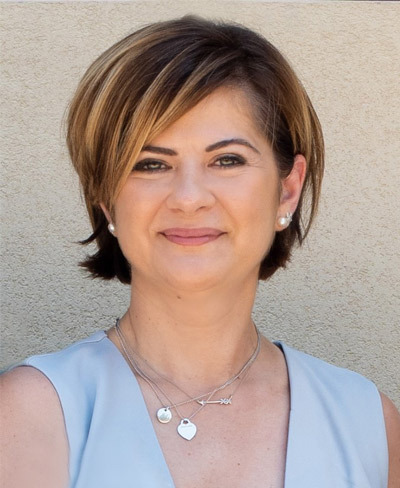 Christina sold her company to Diana Naturals in 2013 and remained as Global Account Director for Infant Nutrition until Diana was acquired by Symrise AG for US$1.75 billion in 2014. She joined John Morley, a leading food industry supplier, in late 2014 where as Director of Sales and Marketing, she was responsible for key consumer accounts including Sainsbury’s, Waitrose, M&S and Tesco. She has been a finalist for Director of the Year for ‘SME and International Trade’ on two occasions and has been awarded the Nutricia Partners in Growth Award. Christina is fluent in German and Spanish. Christina has extensive experience in building and managing supply chain agreements across international markets with leading industry players, and has both business-to-business, and business to retail sales experience. Dr Sofia Kolyda has a PhD and ten years post doctoral experience from Reading University Department of Food and Nutritional Sciences. She is widely published in the microbiome field with specialist expertise in using prebiotics as food ingredients to modulate the human microbiome. Dr Kolida’s expertise has been important in the development of OptiBiotix’s technology through laboratory studies, human studies, and manufacturing scale up, allowing the company to create a rich pipeline of award winning products. Under Dr Kolida’s leadership OptiBiotix has established itself as a global leader in targeted microbiome modulation, natural high intensity sweeteners, and sweet healthy fibres (SweetBiotix®). This work has led to agreements with a number of global corporates including Tata for microbiome modulation (LPGOS), and two SweetBiotix® agreements, the first with one of the world’s largest suppliers of nutritional products, and the second with one of the world’s largest providers of dairy products. 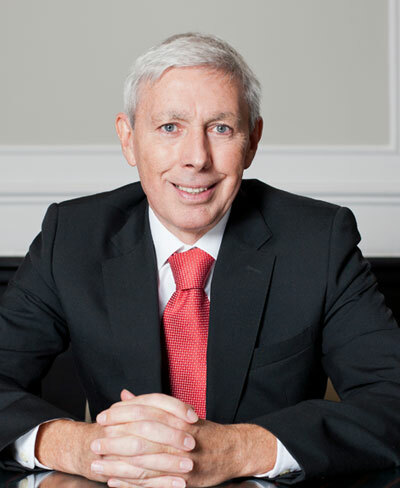 Neil has over thirty years of operational and board experience as Chairman and Chief Executive of FTSE 50, AIM, and private companies in both an executive and non-executive capacity. 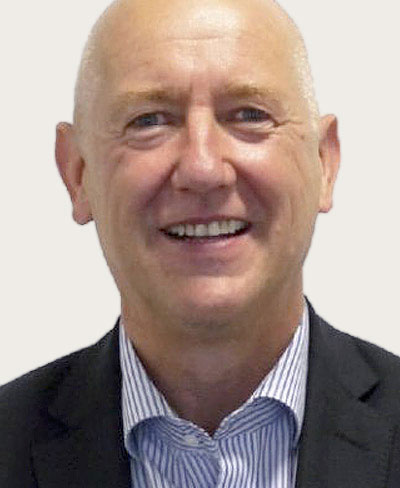 He has a wealth of commercial expertise in the food and retail sectors having started his career with Northern Foods plc, where he rose to become Managing Director of its milk division. He subsequently became Chief Executive of Express Dairies plc and then Arla Foods plc before taking on a number of board positions in FTSE listed and private companies. 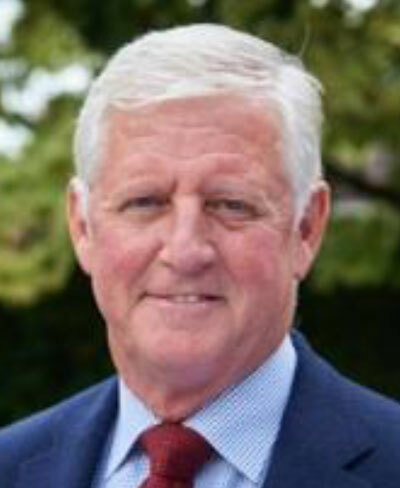 His experience in the public sector includes non-executive positions with a number of FTSE100 companies including Persimmons plc from 2004-2103 and Wm Morrison Supermarkets where he is currently a Non-Executive Director. Neil was awarded a CBE for services to the food and dairy industry in 2006. Neil has a personal interest in the development and commercialisation of technology to improve health. He was Chairman of Eminate, a spin out from the University of Nottingham, which developed an alternative to salt which was licensed to Tate and Lyle, and Cherry Valley Farms, a genetics business which had extensive operations in China and the Far East and was sold to an Asian private equity group in 2010. Neil chairs the Remuneration Committee and is a member of the Audit Committee and Compliance Committee. 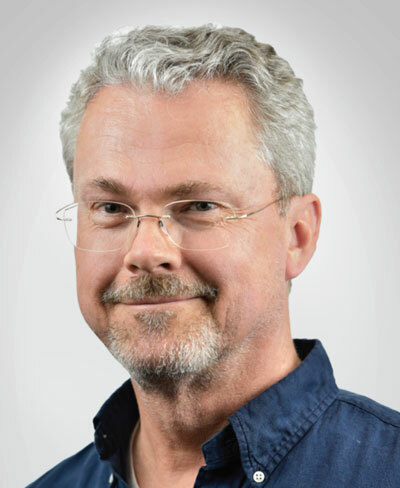 Dr Gareth Barker is Vice President of Human Nutrition and Health for DSM Nutritional Products Europe AG, the global science-based nutrition company, within Europe, Africa and the Middle East. 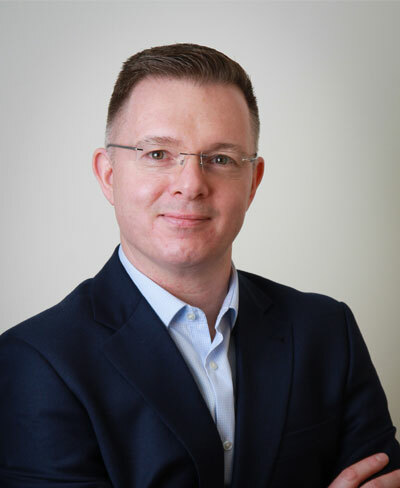 Prior to this he has worked in a number of roles for DSM including Global Head of Marketing for DSM’s Human Nutrition and Health Division and Sales Director in the Asia Pacific region, with responsibilities including launch strategies for Nutraceuticals. Gareth’s career has given him extensive experience and understanding of global markets within the health and nutrition sector. Before joining DSM, Gareth worked for Hoffmann-la-Roche who he joined after working in consultancy advising clients in the Food & Pharmaceutical industries. Gareth has an MBA from Manchester Business School, a PhD from Oxford University, and is proficient in French, Spanish, and German. Peter has over 25 years of experience in international brand management and consultancy in nutrition, health and wellness and is regarded as one of the world’s leading experts in functional foods innovation and marketing. He is author of “Four Factors of Success: A Simple Tool to Innovate Healthy Brands” and co-author of The Food & Health Marketing Handbook. He is the founder and owner of The Healthy Marketing Team (“HMT”), an international and multicultural brand strategy consultancy focused on innovation, marketing and branding in food and health. Since its foundation in 2007, HMT has worked on customer projects in around 60 countries worldwide with leading brands such as CocaCola, Pepsi, Danone, Bayer and GSK. Peter chairs the Audit Committee and is a member of the Remuneration Committee. Sean is a Non-Executive Director at Turner & Townsend LLC, Applied Graphene Materials Plc and Accsys Technologies Plc. He was Group Finance Director of Croda International Plc from 2006 to 2015, a global manufacturer of speciality chemicals. Prior to joining Croda, Sean was Group Finance Director of Northern Foods Plc. He also served as a Non-Executive Director of KCOM Plc until 2007, Eminate Ltd, Cherry Valley Farms Ltd and Produce Investments Plc. He is a Fellow of the Chartered Institute of Management Accountants and of the Association of Corporate Treasurers. Sean has extensive knowledge of all aspects of finance, strategy and corporate governance in major businesses. OptiBiotix Health Plc is a life sciences company operating in one of the most progressive areas of biotechnological research – the modulation of the human microbiome. Our R&D approach uses pharma grade platforms targeted on the food and dietary supplement markets protected by 65 patents / 17 families, 8 strain deposits, 28+ trademarks.